Those are 48 inch wooden chess pieces. Still with prized original teak as its main material, played on a chessboard with 24" x 24" squares, is quite dramatic in its presentation, whether located in expansive yard, house terrace, foyer, even large room with this as its central attraction. 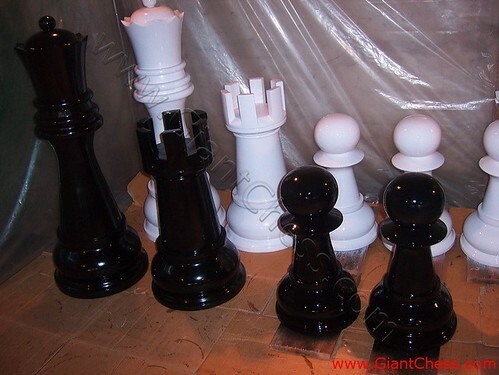 Those chess pieces will give different touch to your house.